David Erfle, Founder of the Junior Mining Junky joins me today to discuss the recent M&A deals that have hit the resource sector. We discuss the Rye Patch, Klondex, and Anaconda deals for investors looking ahead. Click here to visit David’s site for more stock commetary. Stellar (XLM) IBM launches a cheaper platform for start-ups to build blockchain projectsIBM’s new blockchain product is a cheaper alternative its current enterprise plan for firms looking to develop blockchain applications.The firm also announced the launch of new services aimed at helping firms explore and commercialize their own blockchain applications.Several well-established companies have been piloting blockchain technology with IBM’s platform. Good interview today w/ David E. and Cory. As someone with skin in the game on each of the 3 M&A deals this week, I had similar thoughts. I pulled profits on my Klondex position for the quick swing-trade win on the position I started on the 13th, to rotate into other more beat up stocks. I have no interest personally in holding a Hecla position, and their larger debt position is a big overhang in their company that will need to be dealt with over the next few years. 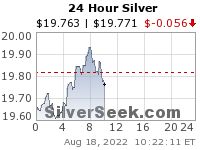 I hold other Silver and Gold producers that I like much more, but still it’s a win for Hecla to have scooped up KLDX / KDX on the cheap and at least these assets will survive to fight another day. The 59% premium was nice and reasonable for a takeover, but it wouldn’t have done much for most longer term shareholders in Klondex, and still took away the future percentage gains Klondex may have had outside of HL. It provided an escape hatch for many underwater KLDX / KDX investors, but many were not made whole by getting taken out near the bottom of this 18 month consolidation in the miners. My timing worked out well this time by only being in the stock for about a week before the takeover, but I only had 1 tranche in place, and planned on getting a 2nd & 3rd in place before a takeover happened, and was hoping Klondex would run some on its own before getting nabbed. One last reflection was that I was preparing for Hecla to acquire Dolly Varden, so now that takeover may take longer than expected (unless another suitor grabs them first). As for Rye Patch being taken over by Alio, I wasn’t a huge fan of watching RPM dilute down existing shareholders for the last year and 1/2, blowing out their share count, doing a reverse split, blowing out even more more shares on capital raises and then selling near the bottom of the metals cycle long consolidation for a 35% premium, right before metals prices would have bailed them out and spiked the shares much higher on a percentage basis. However, it appears they needed the cash that ALO holds to get out of the debt spiral they were in and lender pressure, and apparently they needed a more competent company to run a production asset. It does diversify Alio into Nevada, which is much safer than where their Ana Paula development asset is in Guerrero, Mexico. After mulling it over it is possible that the combined company with 2 production assets + 3 development assets will attract more institutional interest as an undervalued mid-tier, but neither mine is that robust, the grades are low, and the development projects will take some work to bring those reserves into production. As for the Anaconda takeover of Maritime, I remain more neutral. ANX has done a great job over the last year or two on both the production front and exploration front, and their acquisition of Orex was very well played, but I don’t know as much about the assets that Maritime Resources holds, and if it makes sense to have acquired them at this point. 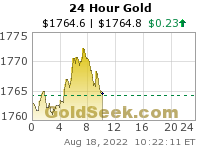 I still want to see most firepower focused on exploring/developing Goldboro for production, but maybe management saw Maritime as a more urgent transaction as it can also feed Pointe Rousse. The Anaconda team left themselves a little wiggle room to back out of this merger, but it does make sense to stay focused in Nova Scotia and Newfoundland and grow their presence there (I’m just not sure now was the time to do it). We’ll have to see how this merger pans out, but I trust ANX to make the right decision for value creation.